In Year 5, our curriculum is based on the National Curriculum. For more information about the what we are learning in Year 5, click on the links below. Welcome to Year 5. We have a really exciting year ahead with lots of new topics to discover. Autumn 2: Who lives in the ‘Ring of Fire’? This unit will help us learn more about Earthquakes and Volcanoes, making links to parts of the world where the Maya civilisation existed. We will learn about survivors of various disasters and write our own disaster inspired account. Why not learn some of the words we will be using this half term? Year 5 and 6 visited the Sheffield University Octagon Centre on Friday 30th November for the annual science lecture. This year the theme was ‘The Life of Birds’. The children met Professor Time Birkhead, a famous bird expert. On Wednesday 28th November, Year 5 performed a new rock opera at the Sheffield Cathedral. This followed weeks of rehearsal with teachers from Sheffield Girls High and was sponsored by HSBC. The children sang their hearts out and it was a wonderful start to the Advent season. Thank you to the parents who were also able to be part of the audience. Children in Year 5 led a liturgy for Year 6, linked to their work in Religious Education. A huge thank you to those parents that were able to share this event with the children. Autumn 1: Would you survive a game of Pokatok? This is a history based unit all about Ancient Maya in what is now central America. We will be using our geography skills to find out more about where it is, we will also be learning different skills in PE to learn how to play Pokatok a game similar to basketball, we will use our art skills to create an Ancient Maya mask and in design technology we will be making tortillas ready for our end of unit celebration day. We are working closely with Year 6 and will be competing for the best Pokatok players in Upper Key Stage 2. 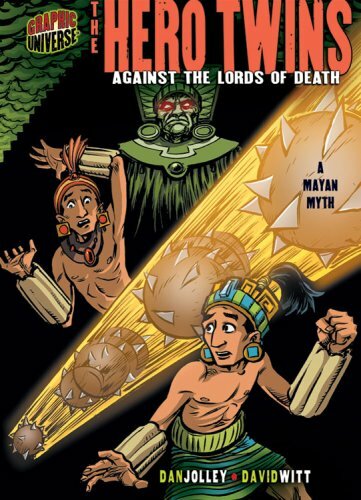 In English we will be studying Ancient Maya myths. We are using the graphic novel, Hero Twins, to bring the unit alive and into the modern day. In maths, as well as following the maths curriculum, we will learn more about using symbols as we learn about the Maya number system. Why not have a go at one of the homework challenges to share with the class so that you can become a Maya expert!! !